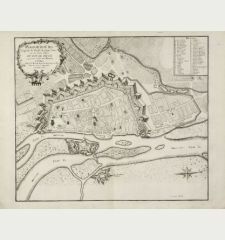 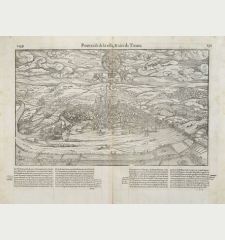 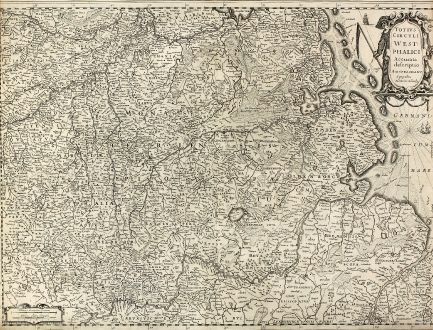 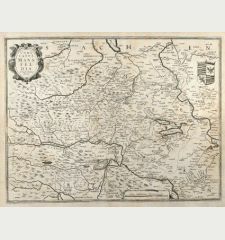 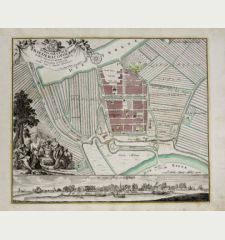 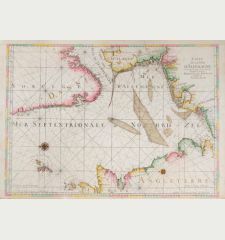 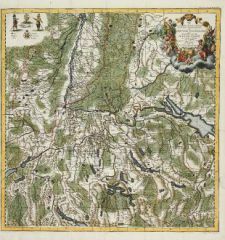 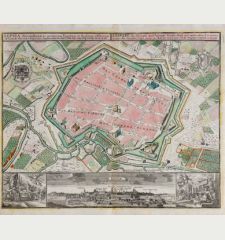 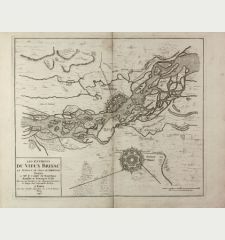 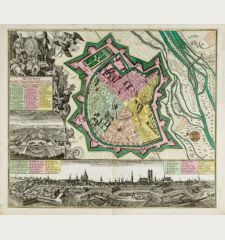 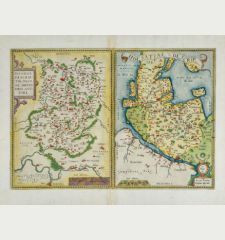 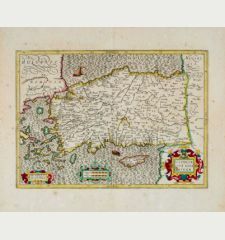 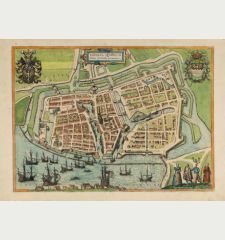 Antique map of Friesland, Lower Saxony. 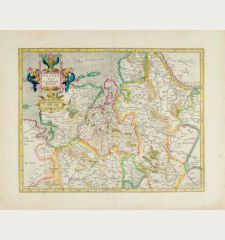 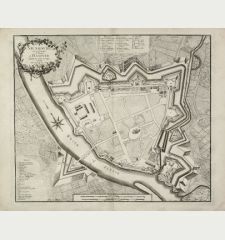 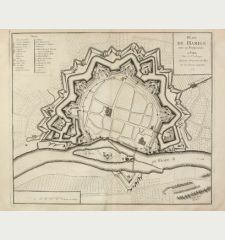 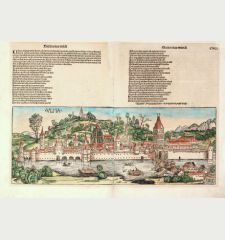 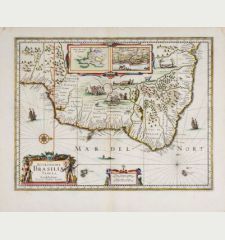 Printed in Amsterdam by H. Hondius circa 1630. 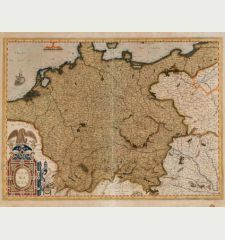 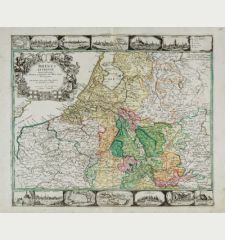 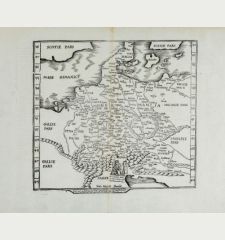 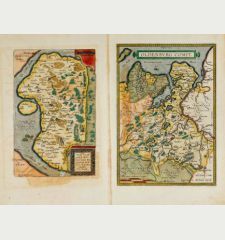 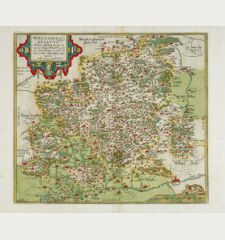 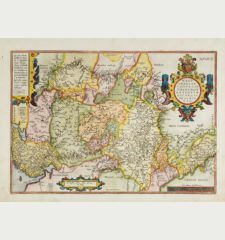 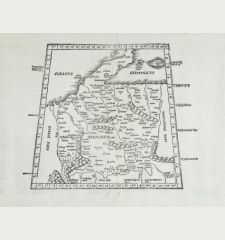 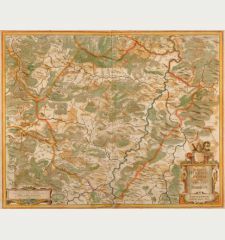 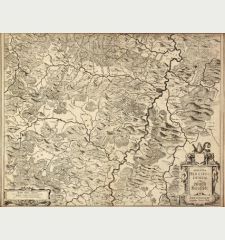 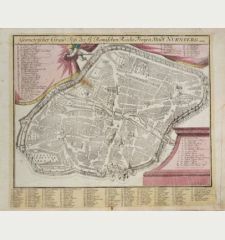 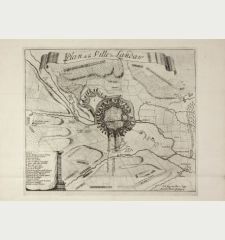 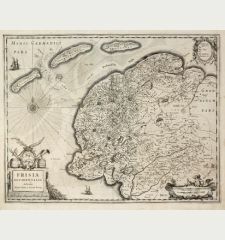 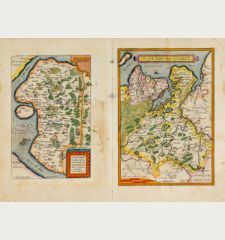 West oriented copper engraved map of Lower Saxony with Friesland by H. Hondius. 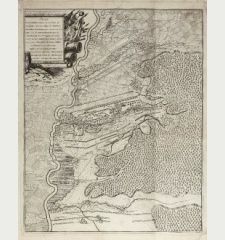 Showing the coastal line between the river mouth of Rhine and Elbe and down to Cologne in the South. 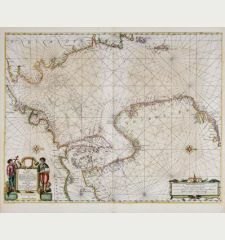 With one figural cartouche, a mileage scale and two sailing ships. 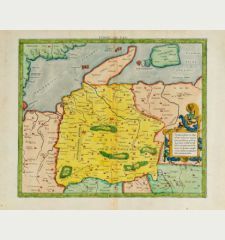 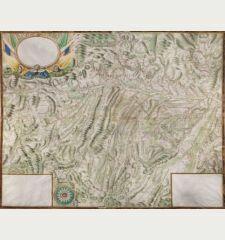 Without text on verso. 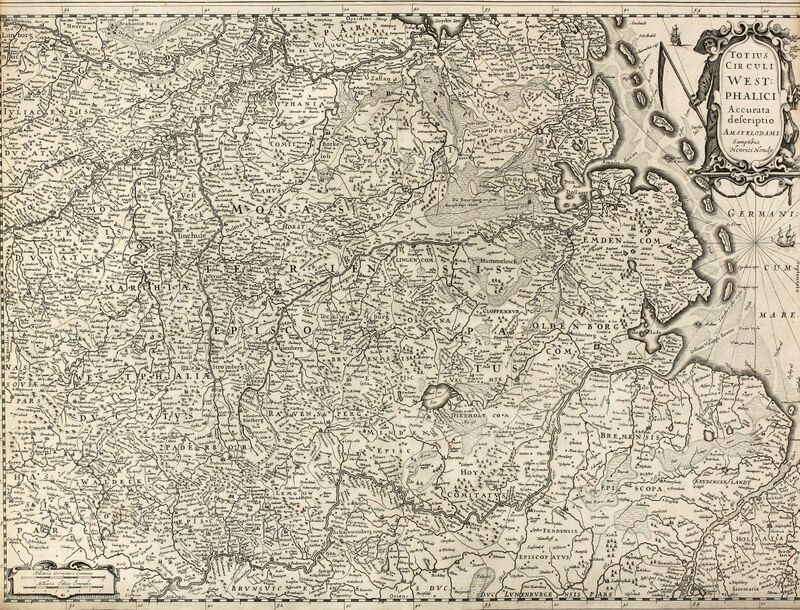 Left and right margin cut into the frame, otherwise fine.